Understanding the migration of the unique Mali elephant population. 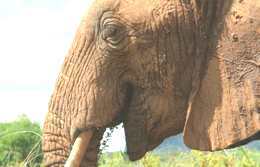 GPS collar data were used in combination with satellite imagery and GIS data - on features of the natural environment and human presence and activity - to understand the migration of these 550 (approximately) elephants. While it was generally known that the elephants made an annual migration circuit (one elephant was measured to have covered 3,435 km in 12 months), the precision afforded by the GPS collars allowed us to understand in detail what was happening at each step of the migration, the factors affecting the migration route, the areas of greatest threat to their future and priorities for action. The migration was unusual in consisting of concentration areas where they spent long periods linked by corridors of rapid movement. The general north-south displacement could be explained by the availability of water and food at different times of the year but the finer detail relied on human factors, such as where human settlement and livestock were impeding their access to water, and their ability to migrate through passes in the hills to access their wet season range. Furthermore this analysis revealed more subtle forces, such as the cumulative impact of small incremental change; the synergistic effects of many pressures acting together; and how changes in one part of the migration route affect resource availability elsewhere. See Save The Elephants and The Wild Foundation to find out more.